Illinois Auditor General Frank Mautino, the top financial watchdog of the state, remains under federal investigation for highly irregular activities in his campaign account from his days as a State Representative. Given his patent refusal to answer even the most basic questions from his employer, the General Assembly, and the legal and ethical cloud under which he persists, it is time for Frank Mautino to resign. Just days after having been appointed by the General Assembly to a 10-year term as Auditor General and being sworn into his new office, a series of questionable transactions from Mr. Mautino’s campaign account were discovered. Among these were over $200,000 spent on gas and vehicle repairs at one vendor and $94,000 in repayments to a bank on a $26,000 loan. Nearly six months later and after multiple inquiries by Members of the General Assembly, there has been no plausible justification offered for the questionable expenses. In addition to Mr. Mautino providing no answers to our questions, we find out that he is now under Federal investigation. 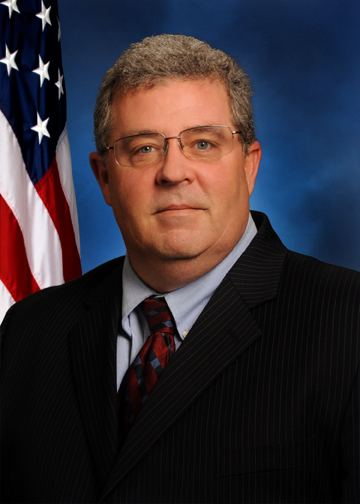 October 20: The General Assembly appoints Frank Mautino Auditor General with a bi-partisan vote. December 7: Frank Mautino in sworn into office. January 7: It is reported that Frank Mautino kept his campaign account open after his appointment but before his swearing into office. During that interim period, he collected $15,500 in campaign contributions. While the Auditor General is not allowed to raise campaign funds, Mr. Mautino continued to do so because he was not yet sworn into office. When asked by the press why he continued to raise money, he stated he needed the money to clear up some old campaign debts as well as handle some office closing expenses. His previous report showed no campaign debt. He also stated that part of his office closing expenses was to shred documents. January 21: Several highly irregular activities are reported regarding the campaign account. In addition to the $200,000 spent on gas and vehicle repairs at one vendor and $94,000 in repayments to a bank on a $26,000 loan, the irregular activities also included large payments to the bank for activities such as “walkers,” “election expenses,” “trips,” and more. Obviously, banks don’t provide such services. Over the next weeks and months, several other questionable campaign expenditures were noted. The State Board of Elections has asked for him to amend his records. Several lawmakers penned letters to the Auditor General asking for answers. Initially, Mr. Mautino said he would provide answers soon saying, “No one wants to clear up this matter more quickly than I do.” After saying in February that he expected to have answers in a “few weeks,” further inquiries were met with silence. In response to the last letter from Members of the General Assembly, Mr. Mautino’s attorney requested a “Motion to Stay” because he is under “federal investigation” and has preserved “his Fifth Amendment right” against self-incrimination. That’s right. The Auditor General, responsible for oversight of state spending, is under federal investigation for irregular financial matters and doesn’t feel it necessary to answer questions from his employer, the General Assembly. According to the Illinois Constitution, the job of the Auditor General is to audit the State’s funds, perform additional investigations as directed by the General Assembly, and report his findings and recommendations to both the General Assembly and the Governor. At best, Mr. Mautino’s actions in his campaign fund were sloppy bookkeeping. At worst, they’re criminal. Neither is acceptable for the state’s constitutional officer charged with watching over the state’s finances. Given the level of corruption the state of Illinois has endured over the years, our citizens at the very least deserve the peace of mind knowing those tasked with policing our unusually corrupt bureaucracy are above reproach. Unfortunately, the situation we have here does not live up to that promise. Our former colleague needs to do the right thing and resign.